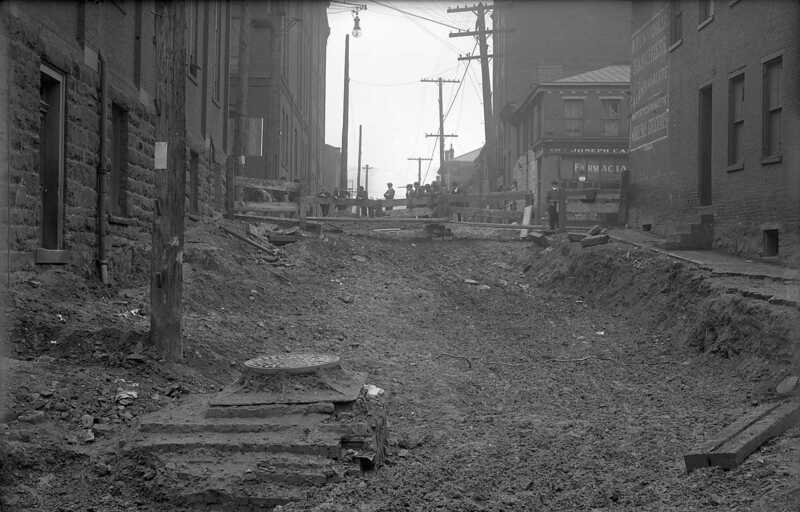 View of hump improvement on Tunnel Street from Pentland Street to Webster Avenue. Streets--Pennsylvania--Pittsburgh--Maintenance and repair. ; Commercial buildings--Pennsylvania--Pittsburgh. ; Pedestrians--Pennsylvania--Pittsburgh. ; Tunnel Street (Pittsburgh, Pa.). ; Downtown (Pittsburgh, Pa.).